Yes…the holiday season is upon us! 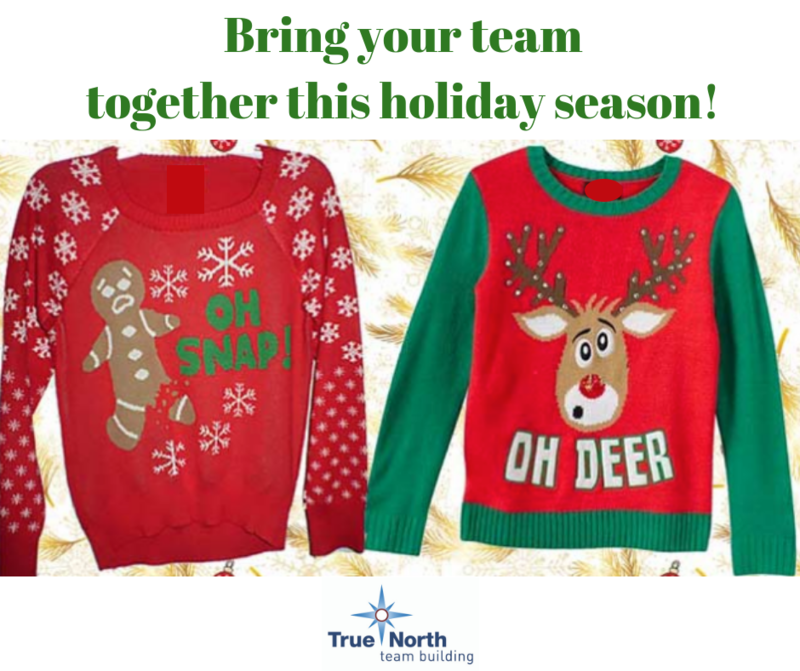 Whether you decide to have your party in November, December or January it’s so important to bring your team together and celebrate all their hard work throughout the year! What better way to do this than with one of our many team building activities?! Holiday Bar Wars – Stir things up as your teams compete against other teams to create winning holiday-themed cocktails. Toy Bins For Charities – One of our most popular programs! This program encourages networking while building toy bins and filling them up with a variety of toys to be donated to local charities, just in time for the holidays. Red Wagon Build & Toy Donation– Teams work together to build kids wagons and then fill them up with a wide variety of toys, sporting goods, crafts, books and more. CanSculptures– Help fill local food pantries with this creative giving back event. Teams build themed sculptures out of canned goods that will get donated to a local food bank. The is an ongoing need at local food banks… before and after the holidays. Holiday Bistro Battle– Teams compete to create a signature cocktail and cold appetizer to accompany it. After the creation of their cocktail and dish, each team will present their creation, but only one team will be awarded the winner! Networking Lounge- Bring the fun to your office or meeting space when you transform the room into a giant lounge, full of games such as Wii tennis or bowling, ping pong, corn hole, giant Jenga and so much more! Holiday Lip Sync Battle- Teams compete head to head to see who is the best performer. Ugly Sweater Cookie Decorating Contest– See who can create the ugliest sweater cookie out there.